While we were gone over the weekend, two tragedies occurred. Our dill forrest drowned and turned brown. It was leaning over on all the broccoli and tomatoes so I cut most of it out. The boys were playing outside while I chopped their forest/hideout/cave/house down. They were, understandably, sad but kept up a brave face while they searched for another black swallowtail caterpillar amidst the wreckage. 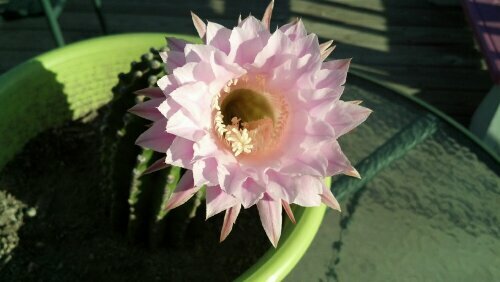 And, as if that weren’t enough, my cactus flowers bloomed and died. I didn’t get to see the pretty pink petals as they only last for 1 day. This is a picture of last year’s beauty. 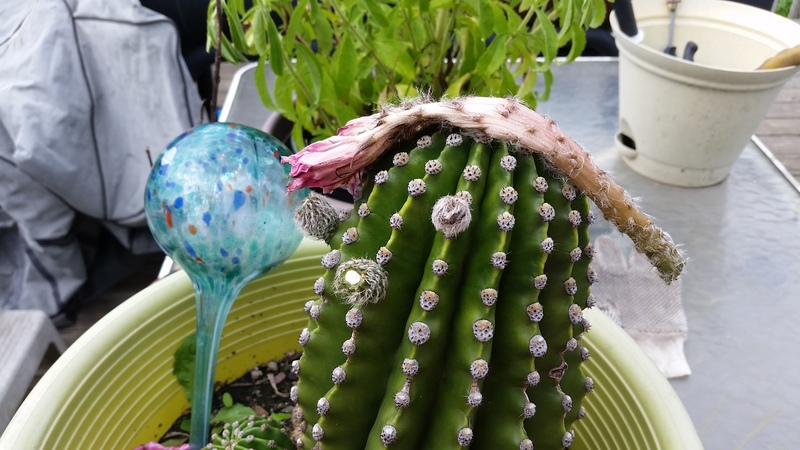 One bud remains and I’m hoping I’ll be around to see it bloom. 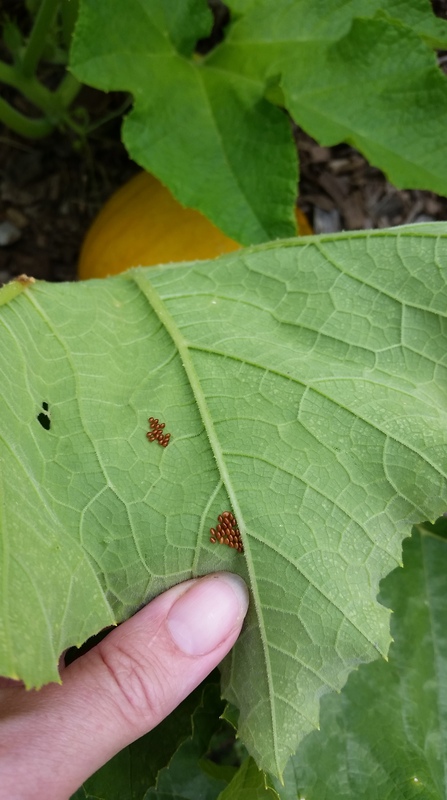 After pulling out all the dead dill and some of the dead borage, I destroyed some squash bug eggs to vent my frustration. 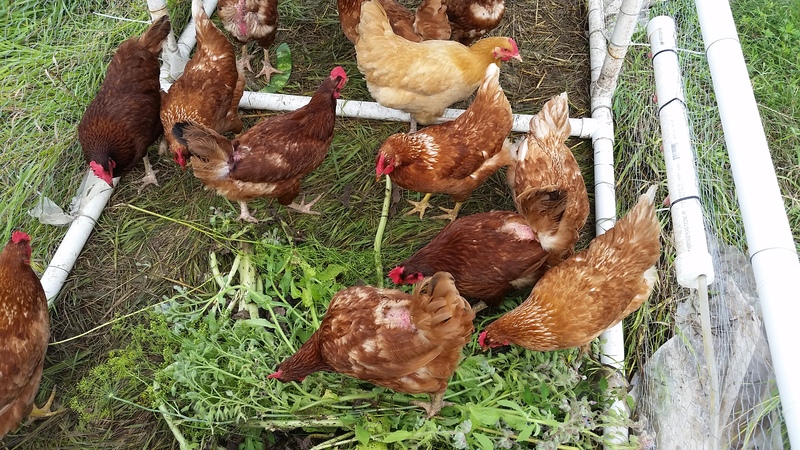 There was quite a build up over the weekend so the chickens were thrilled with all the dill, borage and egg laden squash leaves. 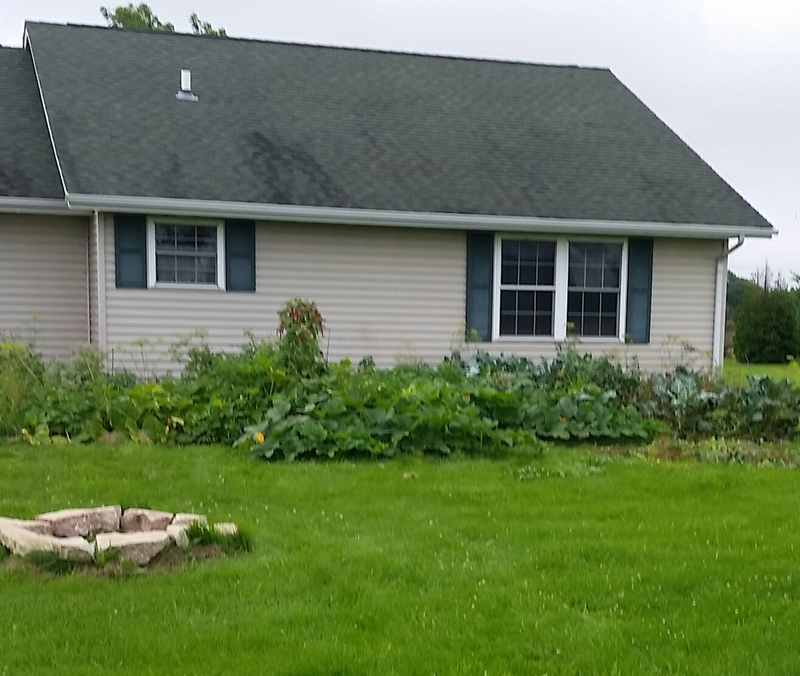 This entry was posted in Chickens!, Garden Stories, Life, Writing. Bookmark the permalink. Our dill was drowned too. A few stragglers left. Excellent idea about smashing squash bug eggs to vent frustration! What could be more fun?